On July 24, an orca whale gave birth to a 400 pound calf just off the coast of Victoria, British Columbia, only to have her calf pass away less than an hour later. For 17 days, this mama orca carried her dead calf for miles and miles, back and forth between San Juan Island in Washington and Vancouver, British Columbia. While this is not an unusual practice for orcas, it is unusual for this ritual to last for so long. People across the country, and perhaps around the world, watched day after day as this mama orca grieved for her baby. This story touched close to home for me and many others in the baby loss community. As a bereaved parent, I can relate to what this mama orca felt. The aching in her heart, the not wanting to let go. When my baby girl, Kyleigh, passed away at birth on April 5, 2012, I would have held onto her for 17 days and beyond. I would have swam miles and miles, just to be with her for one more day. It was heartbreaking to watch this orca grieve for her baby and then finally let her go. When the mama orca started to grow tired and hungry, the other orcas in the pod stepped in. They began to carry the dead calf so the mama orca could eat and rest. The other orcas never left her side. For 17 days, they grieved right along side her and carried her grief as if it were their own. I had my own “orca pod” when Kyleigh passed away. My pod came in the form of Dr. Mary Clare Reardon, who cared for me from the moment my world was turned upside down until now. My nurse, Laurie, who took on extra shifts to be by my side until I was discharged from the hospital. Family, who sat with us, planned a funeral with us and cried with us. Friends, who brought us meals, cleaned our house and helped with our other children. My pod continues to walk with me today and at certain times, still carries my grief as if it were their own, just like they did six and a half years ago. The Kyleigh’s Gift Fund exists today because of part of my pod. We created the Fund in Kyleigh’s memory, but it was because of the loving care we received from Dr. Reardon, my nurse Laurie and others at the Liberty Hospital Birthing Center that the Kyleigh’s Gift Fund was created here, at the hospital through Liberty Hospital Foundation. They carried me when I needed rest. They cried with me and grieved with me. My pod has changed over time, just as my grief has changed. Part of my pod now includes the Kyleigh’s Gift supporters. Family and friends who join us in remembering Kyleigh at the Run/Walk. Other bereaved parents who join us in remembering all babies gone too soon at the candlelight ceremony. People from the community who recognize the need for infant wellness education and resources, as well as parental support for pregnancy and infant loss. The orca pod that this mama orca belongs to is dwindling. There are currently only 75 members of this pod, with the last live birth occurring in 2015. My Kyleigh’s Gift pod is growing. 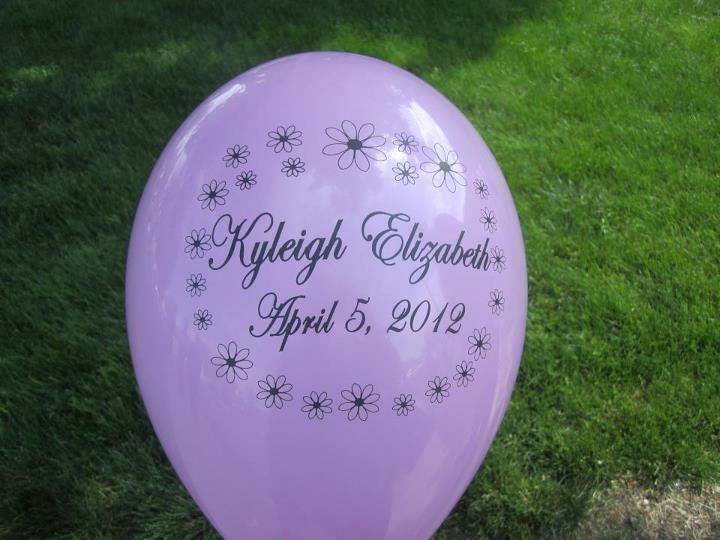 Every year, we reach more and more families at Liberty Hospital and within the community through the Kyleigh’s Gift SleepSack program, NICU meal vouchers, miscarriage care packages, the Diaper Drive and more. This can only be done through the support from people who are willing to carry each other. Will you join our ever growing pod? Will you walk, or swim alongside us and other families who need support? This originally appeared on the Liberty Hospital Foundation website on September 10, 2018.